Best Lawyers' 2014 Lexington Criminal Defense: White-Collar "Lawyer of the Year"
I have been practicing law for more than 25 years by focusing on solving complex issues for businesses and individuals inside and outside of a courtroom. Whether it is working with individuals or corporations to navigate administrative regulations, helping to develop agriculture industries, aiding businesses and individuals with developing new technologies, providing guidance to businesses facing difficult legal decisions, or standing up with individuals who need answers from the judicial system, I approach every opportunity with a desire to learn and a healthy, competitive spirit. My clients deserve and can expect a timely response and clear communication from me. I not only rely on my client's information, but I want them to be active in my legal representation of them by providing insight as well as ideas - in short, my clients are part of their legal team. One of the strongest assets of the McBrayer firm is the team approach our attorneys take to solving our clients’ problems, and I take this approach to working with my clients as well. We have attorneys practicing in a wide variety of areas, and each practice area works closely with one another. All on the McBrayer team are in this together to guarantee that our clients receive the best advice and representation in the Commonwealth. I have tried more than 150 jury trials throughout Kentucky. Many more, however, have been resolved without the expenses and pressures associated with going to trial. My vast trial experience has given me insight to know what is in the client's best interest when going to trial. I have also conducted several administrative hearings by representing state agencies such as the Kentucky Horse Racing Commission and the Kentucky Department of Agriculture. In addition, I have represented persons facing violations or charges from state agencies such as the Executive Branch Ethics Commission, the Department of Alcohol Beverage Control, and the Department of Charitable Gaming. I also have substantial experience in issues involving the Kentucky Open Records Act and Open Meetings Act. My current legal practice and area of focus is supplemented by my in-depth knowledge of criminal law, which was gained through 13 years as a felony-prosecutor in Lexington and later with the Kentucky Attorney General's Office, where I served as Director of the Special Prosecutions Division. This afforded me with a perspective of how different courts operate differently all across the state. My family and I are very involved in our church, where I serve as an elder. We are also very involved in the Children’s Advocacy Center of the Bluegrass, which coordinates all agencies involved in the investigation of child sexual abuse and provides education to professionals and the public about abuse. I enjoy traveling, hunting, fishing, and cooking. Our team of litigators at McBrayer has a significant depth and breadth of resources, a commitment to deliver high quality, cost-effective services, and a detailed knowledge of clients’ industries and business concerns. My client commitment includes being experienced, innovative and aggressive in pursuit of their strategic outcomes. I am diligent to conduct a thorough assessment of my client’s needs and concerns, including involvement from the client in the planning and decision-making and careful consideration of alternative dispute resolution and arbitration processes. 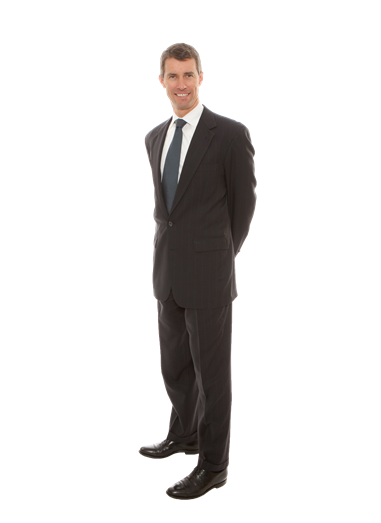 My expertise and experience spans all areas of commercial litigation. 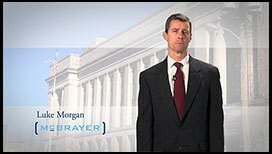 I have handled cases involving such claims as breach of employee non-disclosure agreements, breach of fiduciary duty, breach of non-compete agreement, breach of contract, insurance coverage disputes, securities fraud, slander and libel, tortious interference, and unfair competition. Regardless of the type of claim, the size of the client, or the complexity of the dispute, I have the legal ability, financial wherewithal, and level of commitment necessary to successfully represent the interests of any commercial client. Whether you are trying to develop a fundraiser for a local nonprofit organization or are seeking to operate a multimillion-dollar business, I can assist you in achieving your goals. Dramatic changes to Kentucky's gaming laws are an ever-increasing possibility, and my work with the Government Relations team in our office keeps us in tune with the frequent changes proposed in this area of the law. I advise our clients on how to comply with current laws, and I work closely with the lobbying team in our Government Relations Department to protect my clients' interests by pursuing common-sense changes in legislation. My clients include everyone from local charities that want to make sure the proceeds from their fundraising events help their worthy cause, to multinational corporations that need assistance before marketing a sweepstakes. I have helped nationally-known vendors of redemption games as well as upstart entrepreneurs in navigating governmental bureaucracy. I also represent citizens and businesses charged with violating gambling laws in state and federal courts. My goal is to help my clients successfully operate their business and avoid misunderstandings that can lead to harsh fines or even criminal penalties.